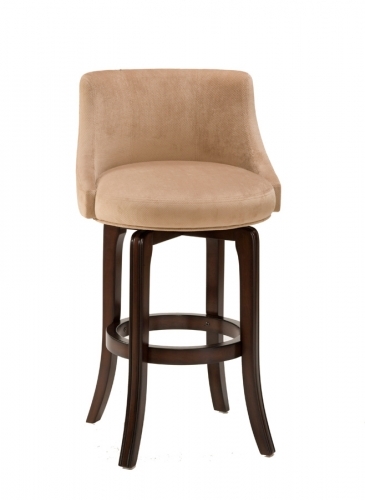 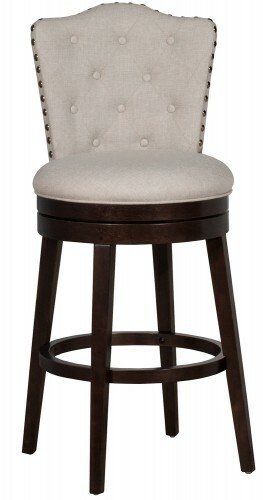 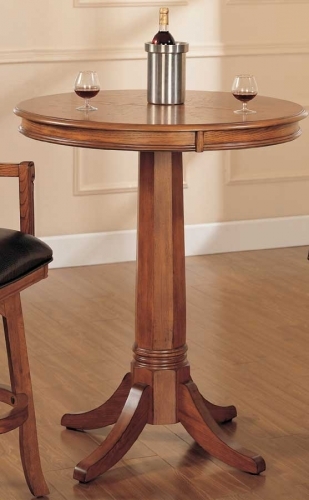 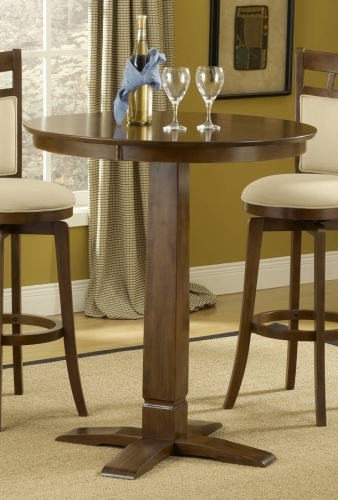 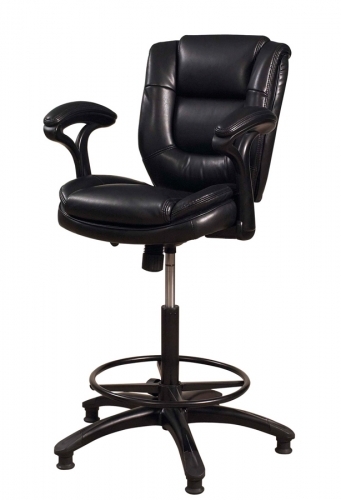 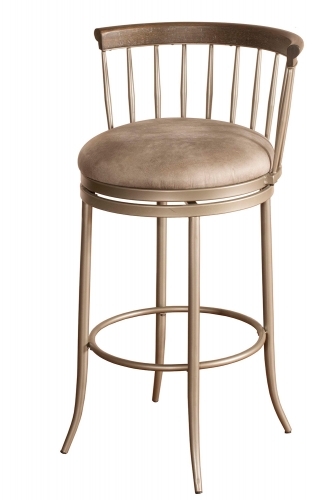 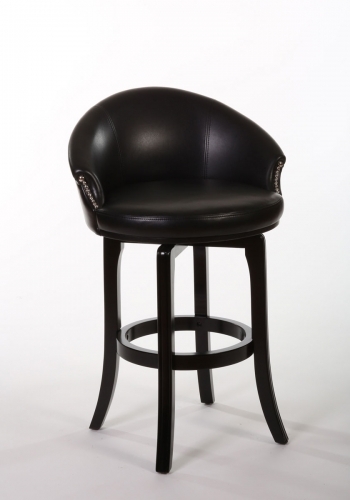 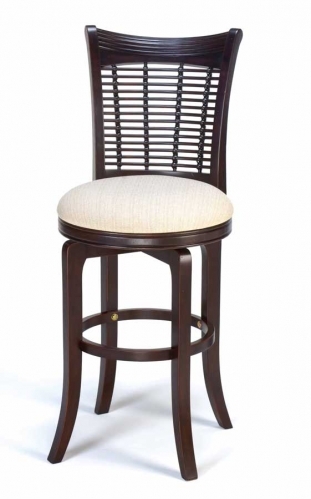 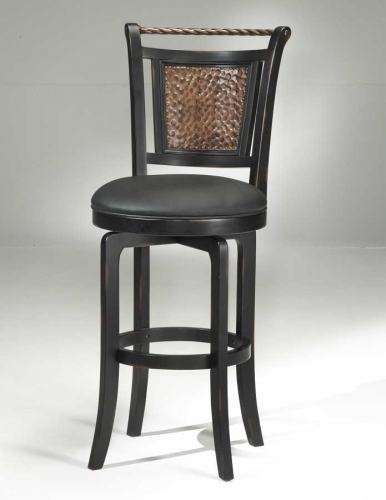 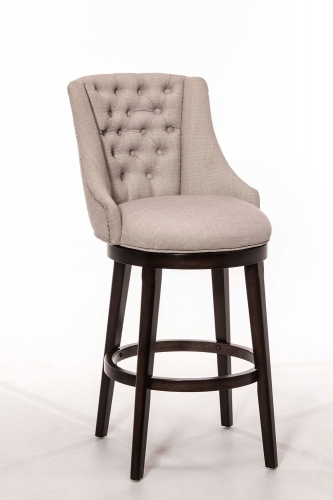 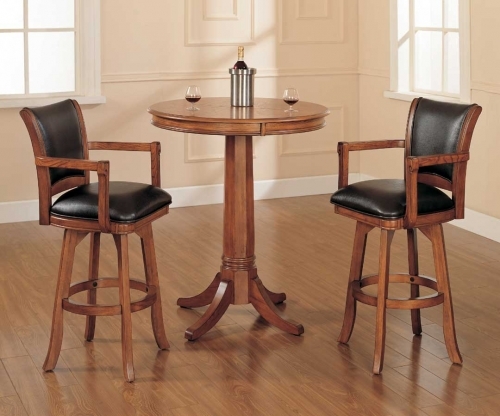 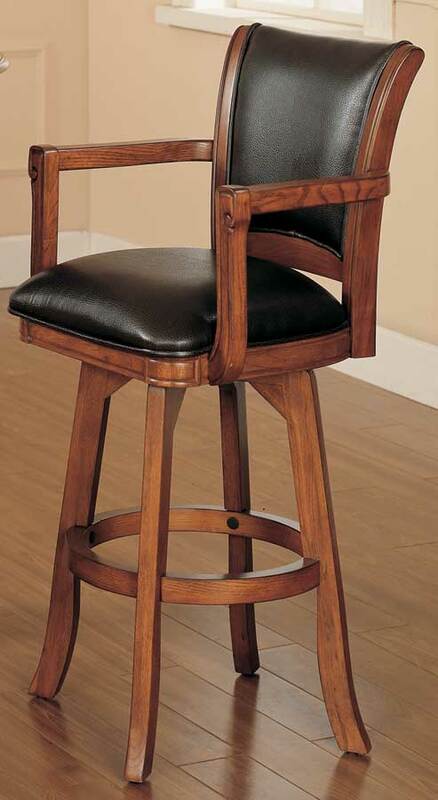 Add traditional charm to your bar, game room or kitchen with Hillsdale Furniture's Park View barstool. 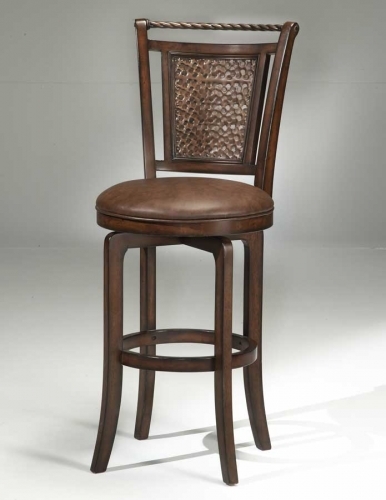 Finished in a medium brown oak with deep brown leather seat cushions and backs, this swivel stool combines comfort with casual living. 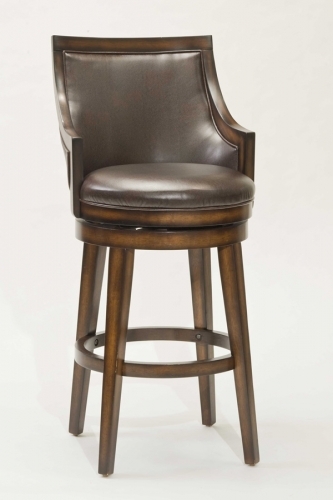 Composed of solid woods, climate controlled wood composites, and veneers, this stool can find a home in your game room, bar area, or kitchen. 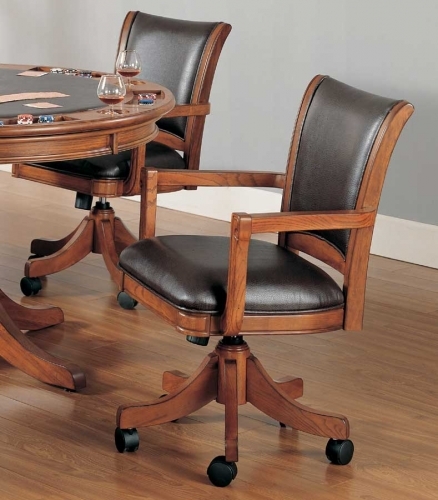 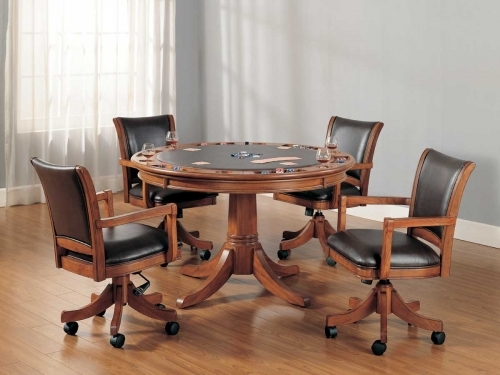 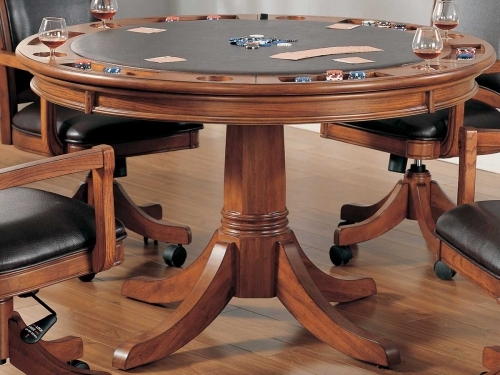 Handsome alone or with the matching pub table, game table and chairs.